Barboval is a combination drug of the barbiturate group. It has a sedative and sedative, vasodilator, hypotensive and antispasmodic action. Weakens intestinal peristalsis. Barboval is produced in the form of a solution, in vials of 25 ml. A bottle of tinted glass with a stopper-dropper and control of the primary opening is placed in a cardboard box with instructions. Auxiliary components: sodium acetate trihydrate, rectified ethanol 96%, purified water. Pharmacodynamics. The effect of the drug due to the action of its constituent components. The α-bromoisovaleric acid ethyl ester has a reflex soothing and antispasmodic effect by stimulating the receptors of the nasopharynx and oral cavity, reducing the excitability of the central nervous system and enhancing inhibition processes in the subcortical structures of the brain. Also, the active substance inhibits the activity of vasomotor centers, has a local direct antispasmodic effect on smooth muscles. A solution of levomenthol in menthilizaleriate (validol) has a calming effect on the nervous system, a moderate reflex spasmolytic and vasodilating effect. Reduces flatulence and slows down intestinal peristalsis. Phenobarbital inhibits the activating effect of the centers of the medulla oblongata on the cerebral cortex, which results in reduced excitation of the brain structures. Depending on the dose of phenobarbital, a sedative, hypnotic or tranquilizing effect is provided. Also, phenobarbital inhibits the excitation of vasomotor centers, coronary and peripheral blood vessels, providing a decrease in blood pressure and preventing the development of vascular spasm (especially heart). Ethanol, which is part of Barbovula, enhances the effect of each component. Pharmacokinetics. The drug is rapidly absorbed in the digestive tract. In the stomach partially oxidized. Excreted by the kidneys. gastrointestinal cramps, flatulence, intestinal colic. The solution is taken 20-30 minutes before a meal, orally (the required number of drops is diluted in 50 ml of water), or under the tongue (dripped onto a piece of sugar). 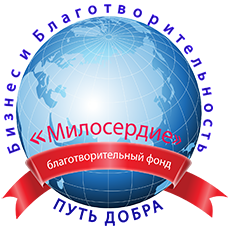 Dosages and duration of treatment are determined by the doctor individually, depending on the evidence. In the absence of other appointments, a single dosage of Barbovala for adults is 10-15 drops. Reception frequency - 2–3 times a day, duration of treatment - 10–15 days. After a two-week break, the treatment course can be repeated. allergic reactions - itching and rash, urticaria . When Barboval dose is reduced, side effects usually disappear. With long-term treatment, the drug accumulates in the body, which leads to an overdose. The main symptoms of overdose are: ataxia, nystagmus, lowering blood pressure, abnormalities in the blood formula, depression of the central nervous system (eliminated by the use of stimulants of the central nervous system, such as cordiamine, caffeine). Also, with prolonged use of the drug may be bromizm. Chronic bromine intoxication is manifested by depression and apathy, hemorrhagic diathesis, rhinitis and conjunctivitis, impaired coordination of movements. To eliminate the negative effects of symptomatic therapy. 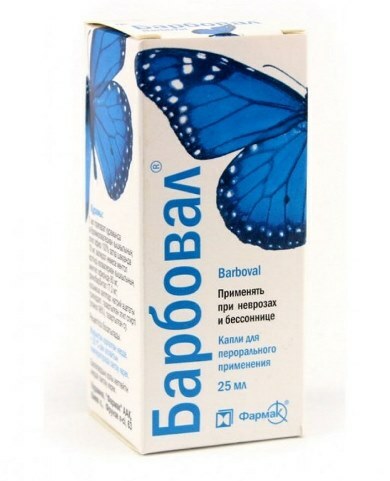 Barbova's continuous use over the long term may be addictive, drug addictive, withdrawal, and sudden discontinuation of treatment may be withdrawal. In these cases, symptomatic therapy is also carried out. Sometimes with prolonged use of the remedy, a reverse reaction is observed - psychodynamic activity instead of the expected calming effect. clinical experience with the use of the drug in children is missing, so it should not be used in pediatric practice. Barboval reduces the effectiveness of drugs metabolized in the liver. Drugs similar in composition and mechanism of action include: Corvaldin, Corvalol, Darvilol, Valokardin. Barboval is stored in a place protected from sunlight, inaccessible to children at a temperature of up to 25 ° C. Shelf life is 3 years. After the expiration of the retention period indicated on the package, drops cannot be used.